Leather is incredibly durable and stylish. If you are searching for men's leather luggage, then you'll be happy to know that you can find several key travel pieces, all of which are made of high grain, quality leather. Men's leather luggage boasts several benefits. First, genuine leather is not only attractive to the eye, but it's also quite supple and yielding when touched. Second, leather is one of the very few fabrics that actually seem to look better over time. Third, if you are willing to do some comparison shopping and research, you should be able to find a great deal on one of these types of bags. There are also different styles of leather, including smooth, distressed, and pebbled. Colors are typically more limited than in women's luggage, but there is some variation. The most common colors are neutrals such as dark brown, tan, chesnut, beige, or black. Some bags feature two-toned leather designs, such as brown with black trim. Although not as readily available as the darker neutrals, cream and blue are other possible colors. You'll also find leather luggage styles available for men from top designer names like Kenneth Cole, Marc Jacobs, and Gucci. The Saddleback Leather Company is definitely a site you'll want to visit because the company boasts several key advantages over some of their competitors, the most notable of which is their 100 year warranty. In this incredible guarantee, the Saddleback Leather Company states that they only use the very best material, threads, and rivets to construct their luggage, and as such, offers a full warranty that protects against all defects in materials and workmanship, whether that defect takes place now, while the luggage is in your possession, or 100 hundred years from now, while in the possession of one of your descendents. In the luggage category of the site, you'll find several different suitcases, all of which are 100 percent waterproof, contain no breakable parts, for example zippers, snaps and the like, and each features a hand sewn boot cord body. Beyond suitcases, you'll also be able to find a wide array of briefcases, messenger bags and overnight bags on the site. Travel bags: These bags vary in size, from quite small to rather substantial, as well as in color. Wheeled luggage: While fashioned in a variety of shapes, each of the different styles all come equipped with wheels. Garment bags: Perfect for keeping your suits in pristine condition, these garment bags feature two separate handles; one for the shoulder and one for your hand. Travel sets: On the other hand, if you are in the market for a well rounded leather luggage set, then this might be the best category for you to shop. Accessories: The Accessories category houses a wide variety of styles, including toilet bags and leather beauty cases. If you are still searching for leather luggage, then you may also want to investigate Luggage Online. This comprehensive luggage site offers several different styles of luggage. In fact, you'll be able to find everything from computer briefcases to attaches to leather messenger bags. Additionally, you may also enjoy the fact that site offers a variety of styles from several label makers, including Kenneth Color and Victorinox Swiss Army. Finally, another advantage of Luggage Online is their customer reviews. This way, you are able to see what others say about the luggage before you purchase. 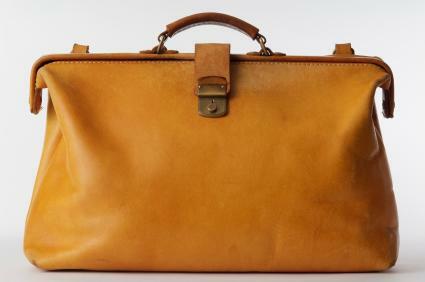 Men's leather luggage is a wonderful and eye-catching addition to any traveler's wardrobe. Full of quality and style, this specific type of luggage is sure to last a long time while standing up to the most grueling of travel schedules.